Explore the benefits and relationship between arts and academia below. The obvious benefits of dance programs are increased coordination and physical fitness, but beyond that, dance builds neural pathways associated with problem-solving, spatial relations, and memory enhancement. Dancing boosts serotonin levels, assisting with mood and sustained energy elevation, and as with all exercise, promotes healthy blood flow to the brain. Music strengthens mathematical abilities and spacial-temporal reasoning. When a student sings or plays rhythmic instruments, he learns to identify and apply proportion, patterns, and ratios. When combined with dance, music stimulates the brain's pleasure center to act as an instant reward system. There is also strong evidence indicating that students learn better when listening to classical music as they study since music stimulates emotion, which is a factor in information retention. Role-playing in its most basic form helps build problem-solving skills, teaching students to approach conflict resolution from different viewpoints. Theater instills confidence that translates to solid public speaking and social skills. It also instills value in team-building. When our students participate in bringing a theatrical production from casting to curtain close, they learn to appreciate the value and discipline of follow-through, as well as the joyful experience of turning concepts and written words into costumes, set design, and realistic enactment of complex social and emotional situations. The study of visual arts encourages students to verbalize their personal perception of art subjects, challenge cognition, build language skills and awareness of emotion and perception. As a student creates a painting or composes a photograph, she learns to translate abstract concepts into tangible representations. 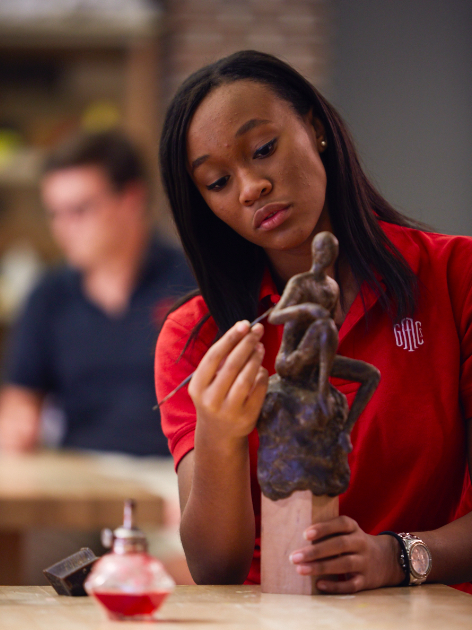 Greater Atlanta Christian School's award-winning art program, led by accomplished and talented faculty, is vital to students' academic and spiritual experience. At GAC, students participate in artistic enrichment programs from K3 through Senior High. Our visual arts program incorporates many forms of traditional and digital media, allowing students to experiment and find ways that best help them project and challenge their creativity. Our School of Ballet students learn positive physical expression through dance and use it as a form of creative worship. Students are encouraged to take risks in a supportive, creative environment. Opportunities to express and explore their talents through multiple dance disciplines, stage productions, visual arts, band, orchestra, and choir are available on campus during the school day and after school. GAC students achieve greater lifelong success due to an integrated curriculum designed to graduate well-rounded, resourceful, and resilient young adults. 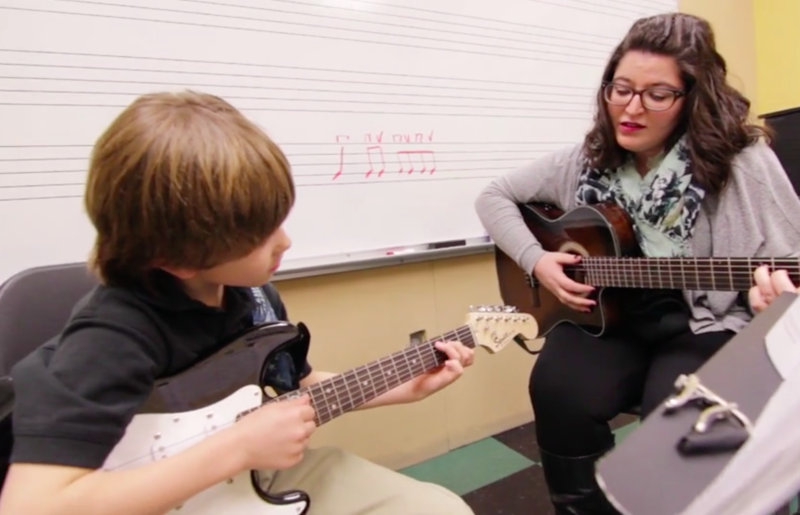 Learn more about our arts program by visiting campus. Schedule your visit today!